Gut health in poultry is critical in a whole range of performance issues, from eggshell quality to building resilience against disease with the aim of minimising antibiotic usage. Gut health was the common theme throughout the various presentations during the poultry sessions at Alltech’s European Technical Summit in Dublin in March. 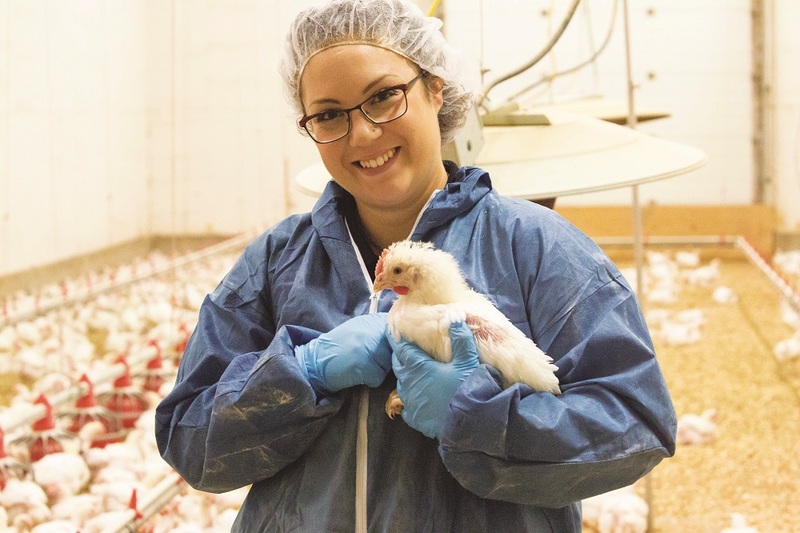 At the conference, Dr Kayla Price, poultry technical manager at Alltech Canada, explained that gut health, alongside optimum trace mineral nutrition, are key to maintaining a healthy bird and high quality egg. “There’s a whole host of factors, including age, management, environment and genetics, that impact on eggshell quality. But, taking as many steps as possible to improve gut health is something I’d strongly recommend,” she said. She highlighted the importance of trace mineral nutrition on bird performance and specifically eggshell quality. “While the role of trace minerals such as copper (Cu), iron (Fe), manganese (Mn), zinc (Zn) and selenium (Se) in positively improving bird health and performance is largely understood, the form in which they are supplied makes a big difference. “For example, organic minerals in a chelated form resemble those found naturally and therefore have better bioavailability, stability and movement across the gut compared to inorganic minerals. This results in greater uptake and absorption, allowing birds’ to utilise them more efficiently, which in turn supports bird health and performance, including improved eggshell strength,” she said. This was reinforced in a trial that specifically looked at eggshell quality. “As part of the trial, two groups of birds were fed two diets, one contained inorganic minerals and the other included the addition of chelated organic minerals,” explained Dr Price. Continuing on the theme of gut health, senior research scientist at Alltech European Bioscience Centre, Ireland, Dr Aoife Corrigan, highlighted the role of nutrition in rehabilitating the microbiome. “Birds are faced with many challenges during their lifecycle, such as viruses, ‘bad bacteria’ and poor hygiene, which will affect the stability of the microbiome. This in turn can impact gut health and the birds’ natural ability to fight off disease,” she explained. If not managed adequately, performance and the overall financial success of poultry businesses will be negatively impacted. And, with pressure on the industry to reduce reliance on antimicrobials, Dr Corrigan said that producers need to look to non-antibiotic alternatives. And while there is no single option to replace antibiotic use in animal production, producers should focus on taking proactive steps to maximise gut health, as this will pay dividends long-term. Dr Eilir Jones, international poultry consultant, recommended that the poultry sector takes a holistic approach to production in order to maximise success. “Being the best in class is not all about buildings and technology. When it comes to broilers specifically, there are various factors that affect production. These include health and immunity, genetics and chick quality, environment and husbandry, and nutrition and feeding.